Aftershock London is looking for a new muse. Enter to win! 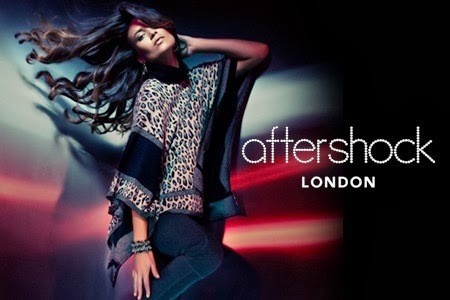 Aftershock London is on the hunt for the face of a new campaign. It was just last week that Diane von Furstenberg told me that "Dallas has the most beautiful women in the world!" so it's no surprise that Aftershock London is looking for a Dallas woman to become The Face of Aftershock London. Metroplex women age 18+ are invited to enter online with a photo and quick questionnaire on Aftershock London's Facebook Page. Submission period closes Monday, November 25. One winner will be carefully selected by a combination of public voting a panel of expert judges including Jan Strimple, Model and Event Producer at Jan Strimple Productions; Lisa Petty, Editor-in-Chief of DFW Style Daily; Diana Oates, Social Editor at CultureMap Dallas; Imran Sheikh, U.S. Director of Aftershock London annnnnnnnnd…. just announced today, celebrity designer Whitney Port! The Face of Aftershock London winner announcement event will take place Wednesday, December 18. Aftershock London’s U.S. flagship store is located in The Plaza at Preston Center at 8383 Preston Plaza Drive, Suite 160, Dallas, Texas 75225. 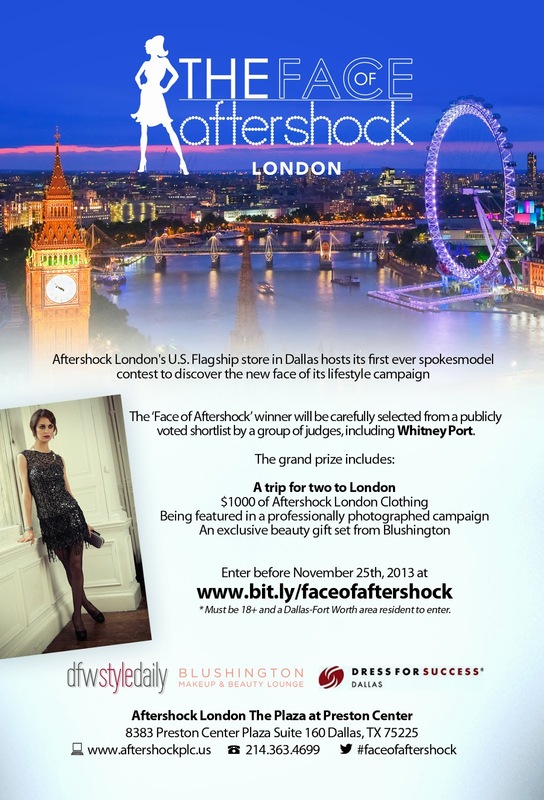 Sponsors for The Face of Aftershock London include: Aftershock London, DFW Style Daily, CultureMap Dallas, Blushington and Dress for Success Dallas. For more information about The Face of Aftershock London and to enter, please visit bit.ly/faceofaftershock.